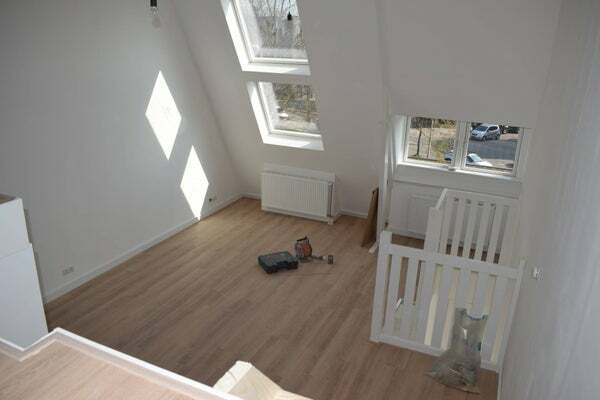 Luxurious 2-room apartment offered in one of the nicest streets of Bussum located on the 2nd and top floor. The Kapelstraat is considered by many to be the nicest and liveliest shopping street in Bussum. The accessibility by car or public transport is also excellent. Naarden-Bussum railway station and Bussum-Zuid station are less than 10 minutes' walk away. Layout: entrance, stairs, spacious and very bright living room with open kitchen which is equipped with various appliances, the living room has a very high ceiling creating a spacious loft, separate toilet, bedroom, bathroom with shower, sink and washing machine connection. - available from 1 April 2019.